Ksplice is a very cool technology. 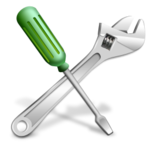 Ksplice allows you to patch important security updates to your system without a reboot. The in-memory code is patched as well as on-disk components, closing all the gaps for a security vulnerability. All the while, your applications keep running. A new feature of Ksplice is Known Exploit Detection. When you patch your system with Ksplice, not only is the security vulnerability closed, but also tripwires are laid down for privilege escalation vulnerabilities. If an attacker attempts to exploit a CVE you’ve patched, Ksplice notifies you. Ksplice is both protecting your system and alerting you to suspicious activity. Very cool. Earlier this week we reported that Microsoft halted updates to Windows PCs running Sophos and Avast’s security solutions, following user complaints that their machines were locking up or failing to boot. Since then, the list of known issues for the rogue update was itself updated to acknowledge compatibility issues with Avira and ArcaBit antivirus installed, with Microsoft temporarily blocking updates to those affected systems, too. Today, Ars Technica noticed that Microsoft is investigating compatibility issues for systems with McAfee antivirus installed, though it hasn’t started blocking the April 9 update from those PCs just yet. Marcus Hutchins, a security researcher known for helping stop the destructive WannaCry ransomware, plead guilty to hacking crimes on Friday. Hutchins was accused of writing a banking malware called Kronos in 2014, after he finished high school. The researcher was arrested in Las Vegas after attending the hacker conference Def Con in 2017. Days later, he plead not guilty in a Milwaukee courtroom. He was scheduled to be tried this summer. OpenVPN is the backbone of online security. It is supported in many popular virtual private network (VPN) providers such as NordVPN and ExpressVPN, and continues to receive frequent updates well into its 17th year in operation. It’s an unwritten rule of information technology, however, that popular security protocols will attract the largest contingent of hackers. As OpenVPN is open source, it is therefore much easier for hackers to locate and exploit security vulnerabilities within the software design. Nevertheless, the value of the open-source model is that it promotes open collaboration, thus encouraging other programmers to suggest changes to the design. This way, security vulnerabilities can be communicated directly to the developers, who then have the option to patch the software and eliminate the vulnerability. The Pentagon’s top research arm is working to build a hack-proof voting machine by combining something brand new with something old – specifically, secure open-source hardware and software using advanced cryptography on one end, and good old paper on the other. The Defense Advanced Research Projects Agency (DARPA) recently awarded the tech company Galois a $10 million contract for the project, which grew out of a broader agency project to remedy hardware vulnerabilities, the snappily named SSITH, for System Security Integrated Through Hardware and Firmware. Galois, which focuses on ensuring the trustworthiness of hardware and software, will design the system, which will start with a different approach used by established voting machine makers, who have come under criticism over the vulnerabilities in their systems, Motherboard reported. For one, it will use open-source software, rather than the proprietary systems used by companies such as Election Systems & Software. It also will use open-source hardware, built from designs developed under the SSITH program. This is shown again in Fortinet's latest Global Threat Landscape Report for the fourth quarter of 2018, where we reported that exploits that targeted individual organizations — often variations of existing malware or the misuse of FOSS (free/open source software) security tools — continue to grow at a rapid pace: 10% over the quarter, while the number of unique exploits they experienced increased by 5%. This suggests that, despite some reports suggesting that malicious actors follow the same work routines as their victims, cybercriminals didn't take much of a break over the holidays. And as you would expect, all of this malware — especially botnets — is becoming more complex and harder to detect. Tchap wasn’t built from scratch. The DINSIC, France’s government agency in charge of all things digital, forked an open-source project called Riot, which is based on an open-source protocol called Matrix. In a few words, Matrix is a messaging protocol that features end-to-end encryption. It competes with other protocols, such as the Signal Protocol that is widely used by consumer apps, such as WhatsApp, Signal, Messenger’s secret conversations and Google Allo’s incognito conversions — Messenger and Allo conversations aren’t end-to-end encrypted by default. In order to better protect official conversations, the French government developed its own secure instant messaging alternative to WhatsApp. For the last few weeks, someone has been publishing the source code of the hacking tools used by a high-level attack team that’s been linked to the Iranian government. The tools belong to a group known variously as APT34 and OilRig, and whoever is dumping them appears to have some interest in not just exposing the tools but also the group’s operations. The leaks began in late March on a Telegram channel and have continued through this week. Researchers at Chronicle, a security company owned by Google’s parent company, Alphabet, have examined the leaked tools and confirmed that they are indeed the same ones used by the OilRig attackers. OilRig has been connected to a number of intrusions at companies and government agencies across the Middle East and Asia, including technology firms, telecom companies, and even gaming companies. Whoever is leaking the toolset also has been dumping information about the victims OilRig has targeted, as well as data identifying some of the servers the group uses in its attacks. For the better part of two years, Google has made a concerted effort to improve control over data in Android apps, chiefly by introducing system-level changes in Android, refining its Google Play developer policies, requiring developers to disclose the collection and use of sensitive data, and restricting access to certain permissions (like those involving SMS and call logs). But it hasn’t always been fully transparent with about these changes, and toward that end, the Mountain View company today announced that it’s “clarifying” several of its rules and reviewing the way it handles noncompliant apps. As I said back in September with regard to a responsible disclosure about Facebook, data access control isn’t easy. While it can sound quite simple (just give access to the authorized entities), it is very difficult, both on a theoretical side (who is an authorized entity? What does authorized mean? And how do we identify an entity?) and on a practical side. Unix and Linux build the foundation for most business-critical systems. Thus, they present target-rich environments for cyber-attackers. Privileged Access Management (PAM) helps to mitigate such risks. To succeed, security teams must follow an integrated approach, covering both privilege elevation and centralized management of shared account credentials. Facebook confirmed March 21 that hundreds of millions of user passwords were being stored in a “readable format” within its servers, accessible to internal Facebook employees—including millions more Instagram users than previously thought. Affected users will be notified, Facebook said, so they can change those passwords. This is how it unfolded: a security researcher spotted that Facebook was asking some users to put in their email passwords when they signed up with a new account to verify their identity. Business Insider then experimented with what would happen if you were brave/mad enough to do so and found that a message popped up saying it was "importing" its contacts without having the decency to check that was okay first. Apparently, 1.5 million people just accepted this as just one of those things, and the information was then used to build up Facebook's uncanny ability to predict when you know somebody. On Thursday, Facebook added to a blog post from March 21 to let users know that instead of storing tens of thousands of Instagram passwords, as it had reported last month, the number of users affected by the privacy breach was in the millions. Facebook is the parent company of Instagram. "Since this post was published, we discovered additional logs of Instagram passwords being stored in a readable format," wrote Pedro Canahuati, vice president of Engineering, Security and Privacy. "We now estimate that this issue impacted millions of Instagram users. We will be notifying these users as we did the others." The stored passwords were found in January during a routine security check, according to Facebook. In March, when the breach was first announced, the company said the passwords were never visible to anyone outside of Facebook. A new major Kismet version has been released, almost 3 years after the previous stable release. The new 2019-04-R1 version features a massively rewritten code base, a new web UI, support for non-WiFi capture types, and much more. Kismet is a wireless network detector, package sniffer, and intrusion detection system. It works with any wireless card that supports raw monitoring (rfmon) mode, and can sniff 802.11a/b/g/n traffic. With the latest Kismet version 2019-04-R1, the tool is no longer WiFi only, and it now includes support for Bluetooth, 433MHz sensors (like weather stations, TPMS tire pressure sensors, or wireless thermometers), ADSB aircraft data, AMR-based power meters, wireless keyboards and mice built with the nRF chipset, and more. Password managers are applications created to enable users to keep their passwords in a single place and absolve themselves of the need to remember every single one of their passwords. They, in turn, encourage clients to use passwords that are as complex as possible and remember a single master password. Modern password managers even go an extra mile to keep other information such as card details, files, receipts, etc. safely locked away from prying eyes. 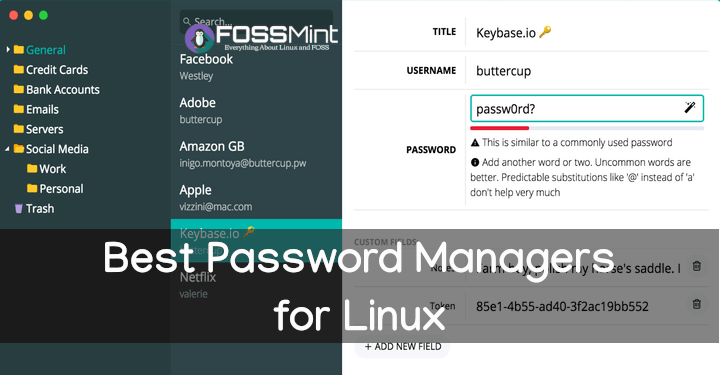 You might be wondering which password manager app will work best on your Linux machine and I am here to answer your question with my list of the 10 best Linux password managers. According to the latest Kaspersky Lab Report, a Windows Zero-Day vulnerability is serving as a backdoor for hackers to take control of users’ PCs. The latest exploit utilizes a use-after-free attack and has a technical name CVE-2019-0895. The exploit is found in win32k.sys and grants hackers Local Privilege meaning they’re able to access resources usually outside of users’ capabilities. In 2016, College of Saint Rose graduate assistant Vishwanath Akuthota said he believed there was a "lot of opportunity" for him at the school. On Monday, federal prosecutors said he took advantage of a different kind of opportunity — access to campus — when he destroyed dozens of computers at a cost of more than $50,000. Oracle has released a Critical Patch Update addressing 296 vulnerabilities across several of its software products. All of us have heard of continuous improvement/continuous delivery (CI/CD). There are many benefits to implementing CI/CD, as it helps seamless integration from end to end for development and deployment processes. CI/CD helps in rapid improvement, shorter release cycles and more, but it also helps with the challenge of handling security effectively at DevOps speed. The core reason people want to get access to free Wi-Fi is to gain high speed internet connection. Here are top WiFi hacking apps for Android. A trusted and reliable app used and trusted by many hackers. Widely used over the Ubuntu operating system. Since Ubuntu and Android are both Linux based, hence it was designed again and released by enthusiastic Android developers. The Gentoo Foundation has partnered with Nitrokey to equip all Gentoo developers with free Nitrokey Pro 2 devices. Gentoo developers will use the Nitrokey devices to store cryptographic keys for signing of git commits and software packages, GnuPG keys, and SSH accounts. Thanks to the Gentoo Foundation and Nitrokey’s discount, each Gentoo developer is eligible to receive one free Nitrokey Pro 2. To receive their Nitrokey, developers will need to register with their @gentoo.org email address at the dedicated order form. A Nitrokey Pro 2 Guide is available on the Gentoo Wiki with FAQ & instructions for integrating Nitrokeys into developer workflow.